I'm sorry I've been slacking on new HBWHOF updates but I just moved into a new crib so I've been awfully busy. I couldn't let this go un-posted though - last night, the Red Sox SMOKED the Tigers 20 -4. Boston tied a franchise record with 8 home runs. 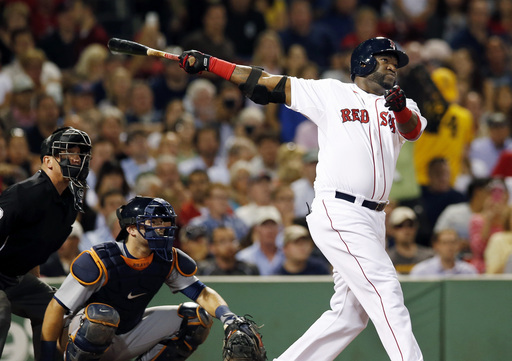 Big Papi homered twice and he doubled for his 2,000th career hit. Will Middlebrooks hit a grand slam. Jacoby Ellsbury , Stephen Drew , Mike Napoli, Daniel Nava and Ryan Lavarnway also went DEEP. Let's celebrate all those dingers with some new Lucy Pinder. Can Anyone Give Me This Cheerleader's Name?